A mechanical defect in 2013-2014 Subaru WRX and WRX STI vehicles can lead to contaminated oil carrying metal debris throughout the engines, according to a lawsuit filed last week. The lengthy complaint, filed in federal court on behalf of 2013 WRX owner Vincent Salcedo, alleges that, once the vehicles’ connected rod bearings begin to fail, metal debris is carried throughout the engine by way of contaminated oil. In particular, the suit says, defective rotating assemblies are the source of the problem. “This defect—which existed at the time each Class Vehicle was manufactured, and typically manifests itself during and shortly after the limited warranty period has expired—will inevitably cause the Class Vehicles to experience spun connecting rod bearings and catastrophic engine failure,” according to the complaint, which you can read entirely below. The Courier-Post said the latest suit is the second case brought against Subaru by McCune Wright Arevalo LLP, a California-based law firm. The initial case, which claimed that several 2011-2015 Subaru models excessively consumed oil, was settled last year, the newspaper reported. The latest suit, filed Thursday in federal court, Camden, “is the result of an extensive investigation by our firm during the past year,” said attorney Matthew Schelkopf at the law firm’s East Coast offices in Berwyn, Pennsylvania. The WRX and WRX STI models, marketed as high-performance, “sporty” vehicles, sold almost 25,500 units in 2014, an annual increase of about 42 percent. The brand sold more than 16,000 units in 2013, also marking a sharp jump from year-before levels. The 57-page complaint alleges that Subaru failed to disclose the issue to consumers, and asks for unspecified statutory and punitive damages. We’ll update this post if we hear back from Subaru. 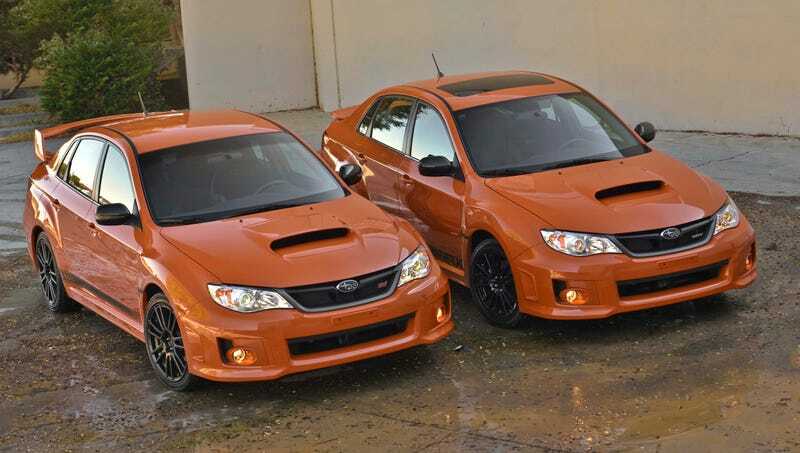 2013 Subaru WRX, STI to split from Impreza, more Saab stories, and F-150 wins "Truck of Texas"